I know I'm not charming or witty in conversations and communications. Thus, I did these videos to improve and train my speaking and presentation skills. Comment-lah! 5 Random Useless Facts About Me! I made these videos on 9 Oct 2008 and 10 Oct 2008. I hope you can support me by rating, commenting and throw me personal feedback. You can criticize/commend me specifically on any area: the production skills, clothes, hair-do, background setting and/or music-beatbox and guitar. Please do not hesitate, as I am eager to improve! As your reference note, I do not attend any music or video production classes. I learn from feedback. You can make me a better musician. 3 October 2008. It was my holiday. I visited Genting Highlands with my family and relatives. In total, there were five of us traveling, in a car. I have not been there since the year 2005 and thus, was pretty excited. 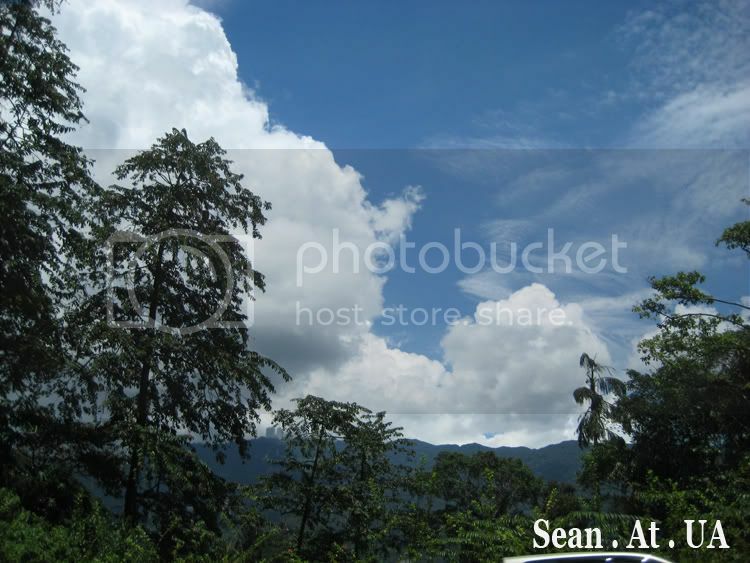 The weather was fine, snapped a picture of the beautiful clear sky. Before we reached there, we stopped by Gotong Jaya for lunch. Then, we headed to find a parking spot in Genting Highlands First World hotel. Within 20 minutes, we got our car parked. It was unlike, the previous bad experience I had with my dad; scouting approximately 1 hour for a legal parking spot. This posted should be dated at 27 September 2008. Start with a bang! 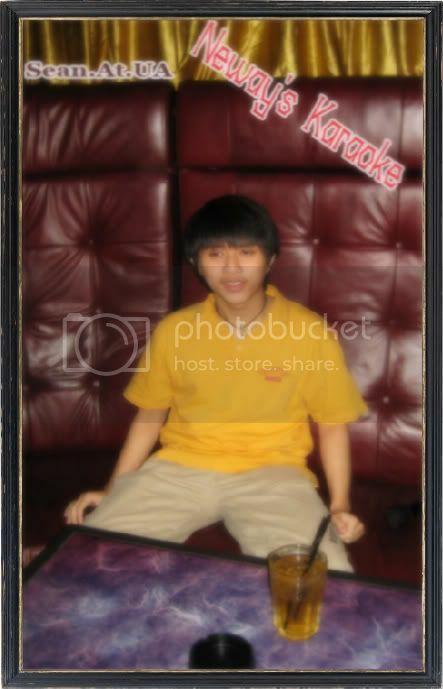 My first outlet-karaoke session took place in an outlet in my very own vicinity, Subang Jaya: V.I.P style. The package we took included buffet and room session for 3 hours. When I first walked into the room, I was awed by the size of the room given. The next thing I love was the ultra-comfort bed-like sofas. Recently, life is starting to seem exciting again. I had just completed my industrial training at 30 September 2008. It was that unexpected Tuesday when the Managing Director (M.D) for that company honored me with the certificate of Internship Completion. He personally looked for me in the Technical department of his company. Apart from inquiring to get my feedback on the internship experiences with his company, he also informed me gleefully what my supervisor (technical department head) had written on my Trainee’s Appraisal Form. As I recalled partly, it was “able to accomplish given tasks with precision and style” I still wondered what the 'style' represents? Sounds like a cheesy advertisement punch line. LOL! What you think?